These extended aluminum gearmotor brackets let you securely mount our larger Pololu plastic gearmotors (228:1 offset, 120:1 offset, 200:1 90-degree, and 120:1 90-degree) to your project. The extended “neck” on these brackets allows for a large variety of mounting options. 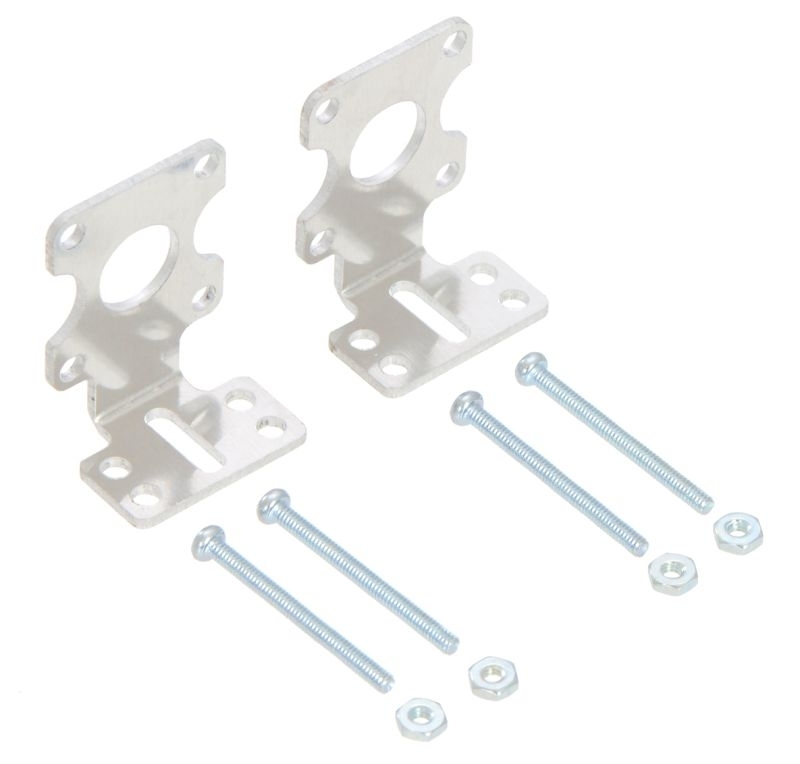 These brackets are sold in pairs, and each bracket comes with two 1″ long #2-56 screws for securing motors to the bracket. Each bracket features four mounting holes and one mounting slot intended for #4-size screws (not included). The following drawing shows the bracket dimensions in mm.